If your organisation has purchased multiple licences, you can access one of them using a "company code". If you do not have that code, ask the person in charge to share it with you. Should they not have it either, please contact us. 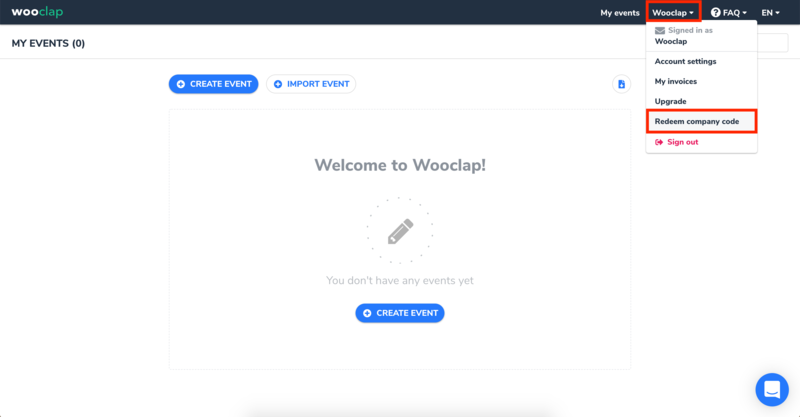 Step 1: Log in to your Wooclap account. 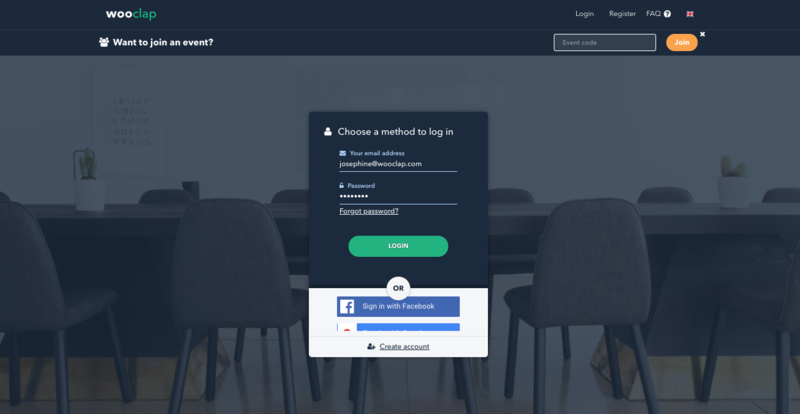 Step 2: Once you've logged in, click on your name and select Redeem company code. 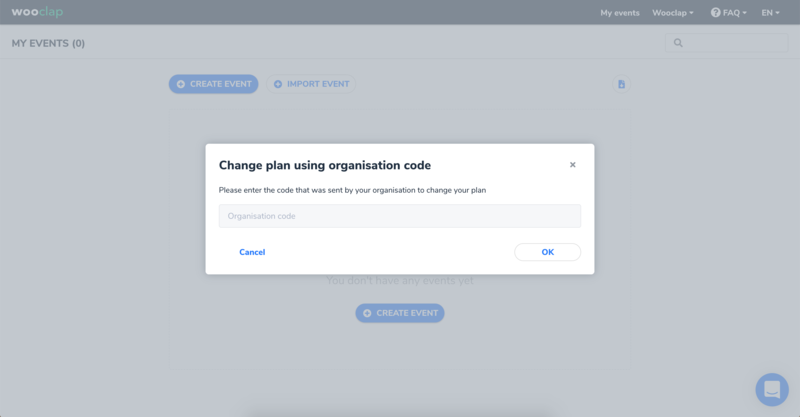 Step 3: Enter your company code and click OK. Your account will then automatically be upgraded, which you can see by checking your current plan in your account settings. You can access these settings by repeating step 2 and clicking on Account settings. Experiencing difficulties? Give us a shout and let us Woo you.